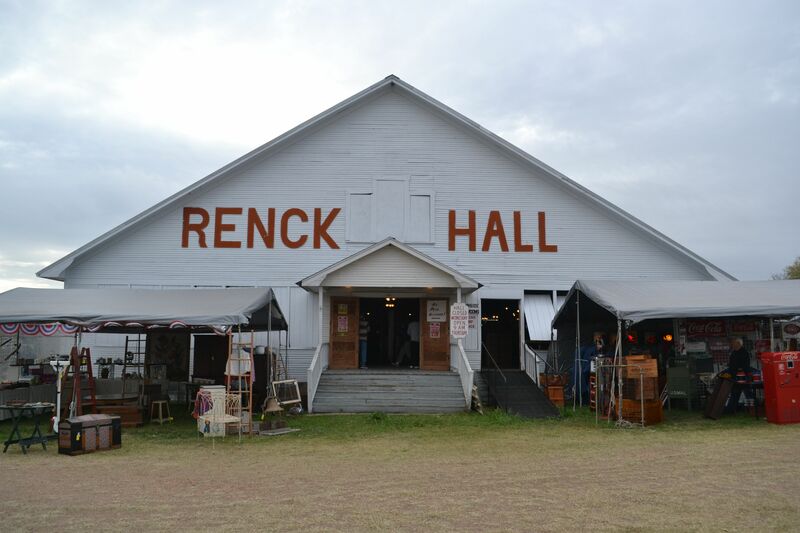 Make sure you check out our "About Us" page where there are some Fun Facts about the Renck Hall and when the Original Warrenton Antique Show started! 38th Year & 75th Show in March, 2019! ​​We love to tell stories from back when it all started - October 1981. Please come by and check us out!! Please check out our "Contact Us" anytime during the year to check on booth rentals and or other services for the show! ​Take Hwy 290 West to Hwy 237, turn left go approximately 15 miles (4 miles South of Round Top) to Warrenton. Renck Hall/Field is located on the left side of Hwy 237 just before you get to the Warrenton Grocery/Service Station. ​Take Hwy 290 from Giddings, go 6.9 miles to Ledbetter, turn right - go 6.9 miles to FM 1291. Turn left on FM 1291 to about 5.6 miles, turn left on Hwy 237. Renck Hall/Field is located on the right side of Hwy 237 which is 3rd venue down the hill from Warrenton Grocery/Service Station. ​Take Hwy 71 E to La Grange, Texas. Take a left on Hwy 159 to 237, follow 237 to Warrenton. Warrenton is approximately 12 miles from La Grange on Hwy 237. Renck Hall/Field is located on the right side of Hwy 237 which is the 3rd venue down the hill from Warrenton Grocery/Service Station.